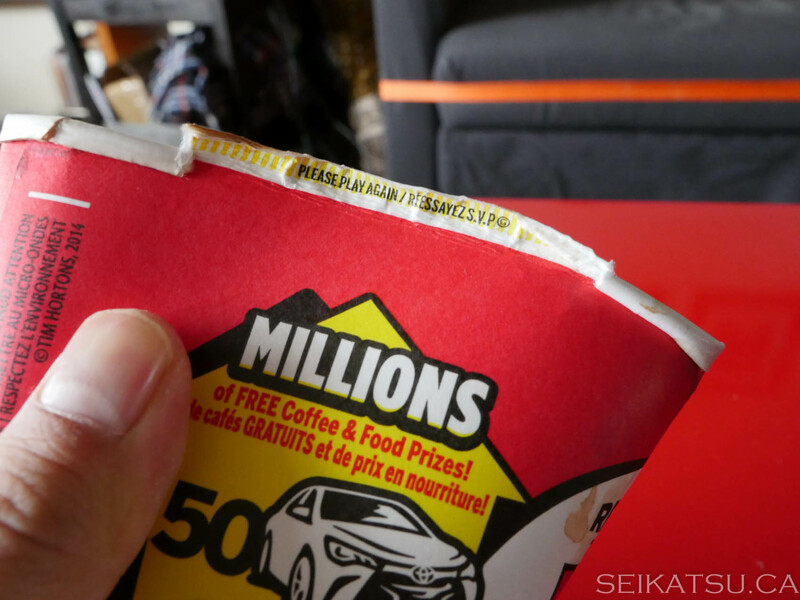 How To “Roll Up The Rim To Win” At Tim Hortons! 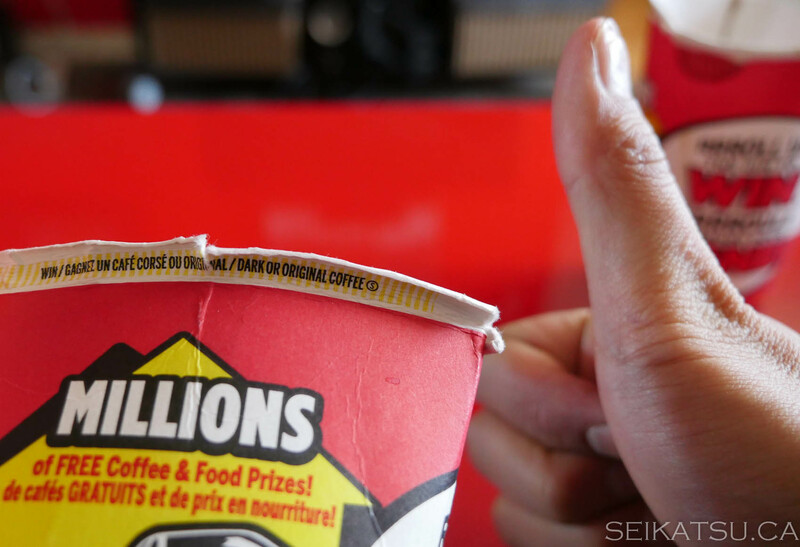 Rolling up the rim to win is a time-honoured annual tradition for Canadians. However, it’s a known fact that it’s really annoying to try to unroll a rim. Nails have been broken. Teeth gaps have been uncomfortably filled with wax paper. 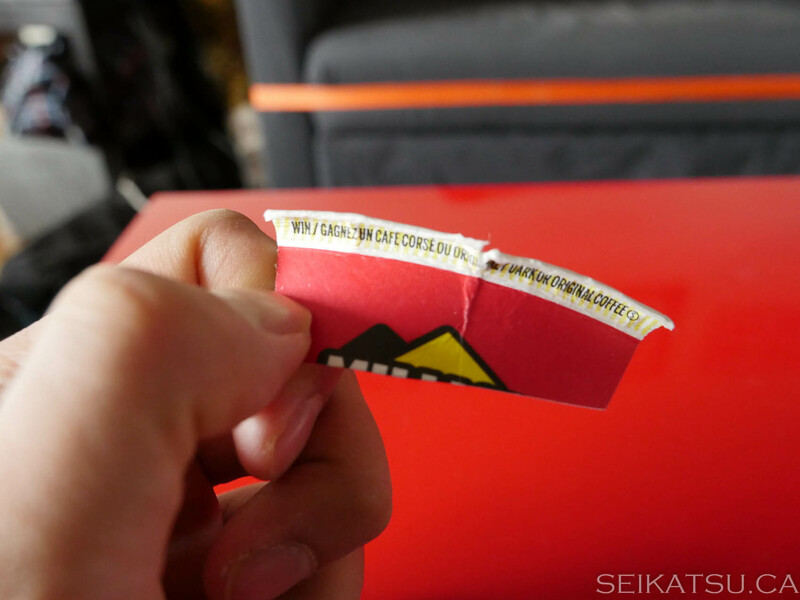 In fact, you can actually buy a special pocket tool to help you roll up the rim! 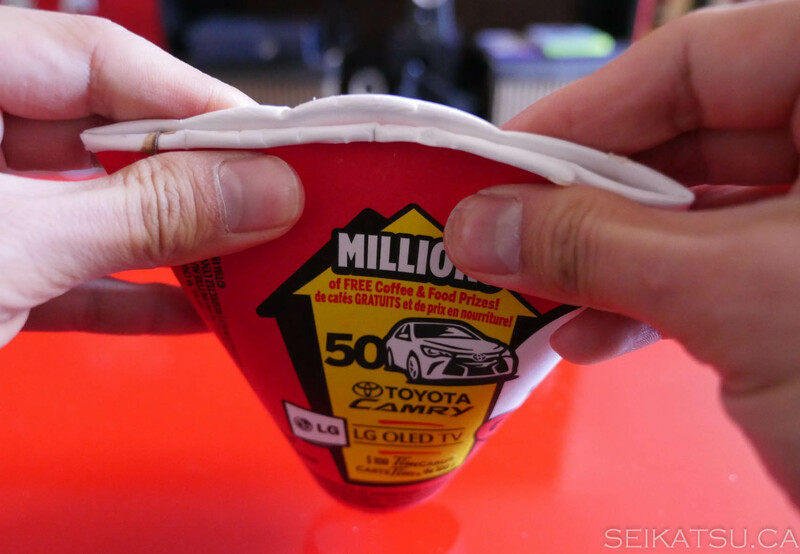 However, there’s an easy way to roll up the rim, and we’ll show you how below. Step 1. 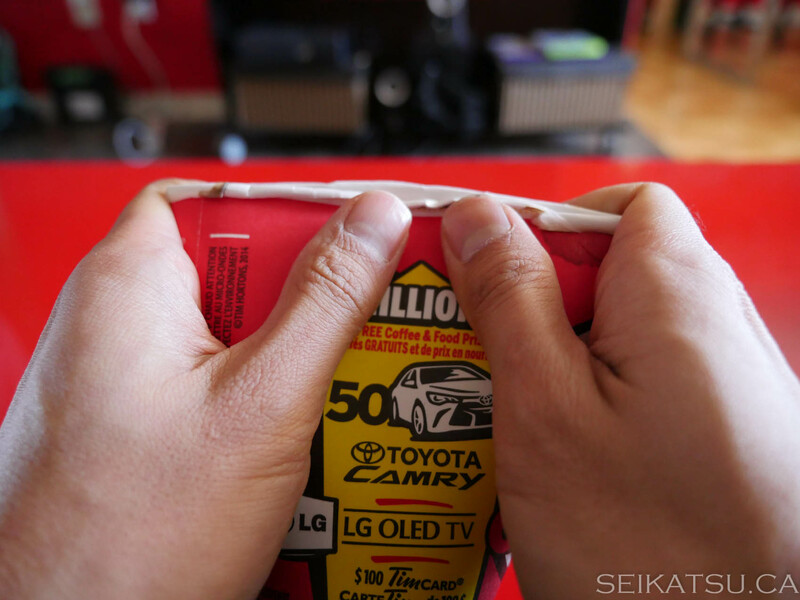 Ruin your teeth or go crazy trying to roll up the rim by brute force. Step 2. The better way. Start by pinching both sides of the cup, with the arrows in the middle. Step 3. Push up with your thumbs. Step 4. Most of the time you will lose, but at least you’ll learn how to read “Please try again!” in French (SVP is short for “s’il vous plait” or “please”). Step 5. Good luck winning – we did! Step 6. You only need to keep a piece of the cup if it’s a food prize. If you win something big, like a TV, you better keep the cup!